Sometimes I just want my life to be prettier. No, the full-on Martha thing is not my thing at the moment. But still. Sometimes I just want things to be prettier. 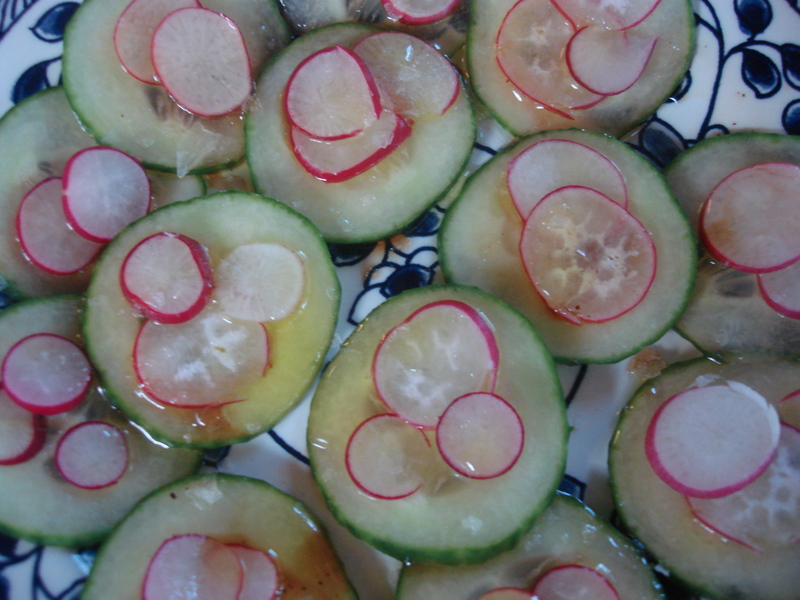 Thus, this very simple treatment of radishes and cucumbers that I put together with radishes from the garden and cucumbers from who knows which hothouse somewhere far less virtuous. The sharpness of the radish is tempered by the cool of the cucumber and the sweetness of the balsamic vinegar, and a bit of good salt completes the palate panorama. It looks sweet and beautiful and presentation tells the eater that someone cares, even if the only eater is you. Thinly slice equivalent amounts of radishes and cucumbers. Put a layer of cucumbers on a serving plate. 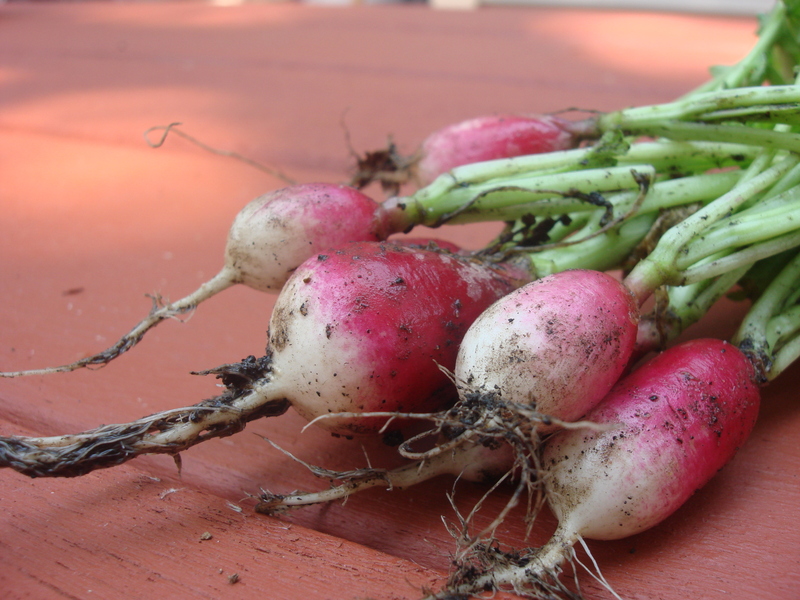 Top with a layer of radishes. Drizzle with olive oil and dot with balsamic vinegar. Finish with a pinch of flaky sea salt, and serve.